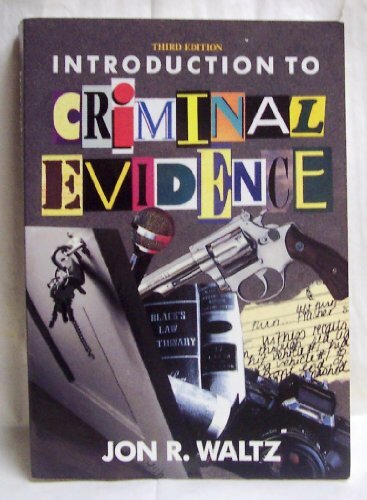 The updated edition of this introductory text thoroughly explores all of the important rules dealing with the use of evidence in criminal proceeding. The author uses extensive case analyses and samples of testimony from actual cross-examinations to simplify even the most technical and arcane evidence rules. Difficult topics such as the use of hearsay evidence are covered, along with the latest Supreme Court decisions on evidence admissibility and the protection of civil rights. The book is written in jargon-free language, avoiding "legalese" as it is intended for the general reader. New material includes an appendix of the complete text of the Federal Rules of Evidence, now adopted in most states.